It Ain’t no Fun Watching the Super Bowl Alone! I have been a football fan for as long as I can remember. As a child I used to watch the L. A. Rams play at the Coliseum. My Dad and I enjoyed the game; I don’t remember my mother ever attending a game. Until recently, my husband and I never scheduled anything on the day the Chargers played. We so enjoyed eating munchies; having a drink or two; and rooting for our team. 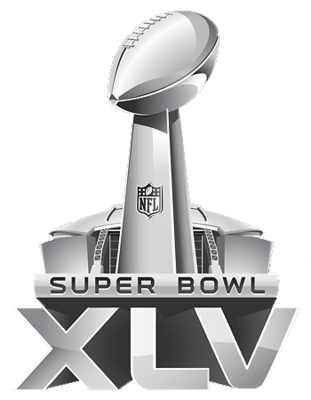 Year after year we had high hopes that the Super Bowl would include our team, and we always said if they were not in it we wouldn’t watch it. But…that never came to pass. We always watched two other teams play. Who do you ask if you think the Black Eyed Peas movements are not synchronized with what you are hearing and/or seeing? Who do you discuss the TD with when the Packers are ahead 21 to 3 only to find it close a few minutes later at 21-17? Who do you say it to when your team wins, but you think that the “kneel down” rule should be abolished? I made a big bowl of guacamole – and crackers and chips ready to go with the game. It’s still here; haven’t touched it yet. And a drink to wash it down? Alone? Not any fun. I suppose I could have had a Super Bowl party. But it is a little like planning a St. Patrick’s Day party without an Irishman in the house. Is it to assuage the feeling of loneliness? I don’t know. I have recently had the experience of being in a room with many people I know, yet had the feeling of being alone. I wonder how many of my local friends went to a party today? I wonder how many of them are alone and wishing they had company. Interesting concept creeps up into my brain that says, “ . . . . if you were a member of the VFW you could go have a drink!” Of course, I am not a member of the VFW and I wouldn’t go anyway – not without Bob! So… I will sit in Bob’s chair; “urge” on the Green Bay Packers because I know that would have been the team he wanted to win, and hope that next year will be different. I hope. Judi, Keep going…I haven’t had to face what you are facing now, but my instincts tell me that you did exactly the right thing. You moved forward this year, from not watching in 2010 to watching alone this year and working through the pain. Your shared thoughts are much appreciated. Someday, most of us will become a survivor and experience what you are going through. Dorothy’s words say a lot. Yet I wonder why you didn’t watch the game with some from your support groups, or with your kids’ families? Why set yourself up for the heartache of being all alone at that time? I can’t stop thinking about that big bowl of guacamole!